The Drexel University men’s and women’s swimming teams sent select individuals who qualified to compete in the 2018 AT&T Winter National Championships Nov. 28-Dec. 1. Junior Alexa Kutch was the standout performer for the Dragons as she was the only athlete to move on from the preliminary trials to the finals. She competed in both the 100-meter and 200-meter backstroke events. In the 100-meter back Nov. 30, she swam the seventh fastest time in prelims which earned her a spot in the top final later that day. In the final, she placed eighth overall clocking in with a time of 1:02.76. She swam faster in the prelims, where she posted a time of 1:02.36, which was a 2020 Olympic Trial Cut time. In the 200-meter back event, Kutch placed 27th after prelims, which was just outside the top 24 who would move on to the finals Dec. 1. Other Dragons also competed on the second day of competition, Nov. 29. Senior Patrick Cobb competed in the 400-meter freestyle event, but placed 38th after prelims, which did not qualify him for a spot in the finals. Junior Stathis Malamas competed in the 50-meter free, but unfortunately he did not move on to the finals either. Along with Kutch on the third day of competition Nov. 30, sophomore Gabrielle Rudy competed in the 100-meter breaststroke, Cobb and Malamas swam the 200-meter free, junior Joe Short swam the 100-meter butterfly and seniors Joseph Brown and Ralph Cannarozzi III competed in the 100-meter breaststroke. The Dragons, however, did not make it to the finals after these races. On the final day of competition Dec. 1, Malamas swam in the 100-meter free, and Brown bested Cannarozzi in the 200-meter breast, but none of these swims were fast enough to make the finals. The Dragons will not return to competition until the new year. 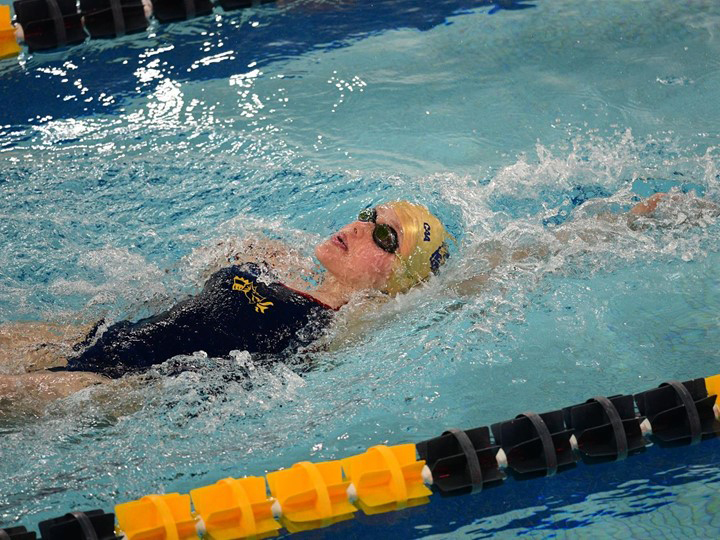 Just before classes begin at Drexel, the men’s and women’s swimming and diving teams will host Northeastern University and the University of Delaware at the Daskalakis Athletic Center pools Jan. 5 at 12 p.m.
Last season, the Dragons easily defeated Delaware. The women had a final score of 161-119, and the men had a final score of 167-126. The Dragons will be looking to have a similar outcome against their Colonial Athletic Association rivals. Two more competitions will occur in January to complete the season before the Dragons return once again to the CAA Conference Championships Feb. 20-23, which will be hosted this year in Blacksburg, Virginia. The swimming and diving teams will face Towson University Jan. 12 with the diving team competing at 10 a.m. and the swimming races beginning at 1 p.m. The final meet of the season will be the senior meet Jan. 19 against Georgetown University in the DAC.